If you are looking into getting braces put on your teeth or you have them already, you might be wondering how long it will take for them to do what they need to do. Braces are usually intended to straighten and realign teeth for a more comfortable bite and a straighter smile. But after you start wearing them for a while, it can be frustrating to wear them, and you probably want to know how soon you can get them off. The answer is that it is different for everyone. The length of time you have to wear your braces will depend on what they are trying to accomplish. If the problem is severe, then it can take far longer than the standard 12-24 months usually required for fixed braces to run their course. The treatment time can often be reduced when combined with treatments like dental implants, helping replace misaligned teeth alongside re positioning them. Removable braces don’t usually take as long as fixed braces, and that’s mostly because they are dealing with lesser problems. Removable braces are usually recommended for cases where the orthodontic work required is relatively minor, so you may only wear those for less than a year. There are several things that can cause the straightening process to lengthen, and you want to be careful to avoid them. 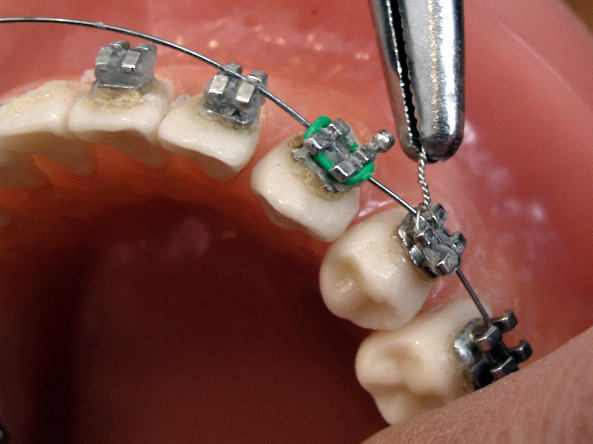 The biggest hindrance to your braces getting off on time is if they become damaged or broken. This can happen if you eat foods that are too hard or too sticky, such as candied apples, caramel, popcorn, bubble gum and other foods your orthodontist probably told you to avoid. If you hit your braces or pull at them with your hands, then they can start to come loose or become damaged. If you notice any problem with your braces, such as loose fixtures, missing adhesive or broken bands, then you need to contact your orthodontist immediately. If anything happens to them, it cannot only slow down the straightening process but also damage your teeth. The longer these problems are allowed to persist without being taken care of, the more severe and expensive they can become. Keep in mind that even if your teeth look straight after some months of wearing the braces, there may still be more work to be done. You will likely see major improvements in your teeth alignment after about six months, but the bones may not have shifted enough to provide a permanent change. Taking the braces off too early can lead to dental shifting and cause your teeth to revert. You may be able to speed the process up as well. If you really want to have your braces off sooner than the time your orthodontist told you it would take, then let him know and there may be something he can do to hurry the process along. There are only so many ways to speed it up though, and ultimately, you will have to wait for the bone to deposit into the new location for a permanent solution.